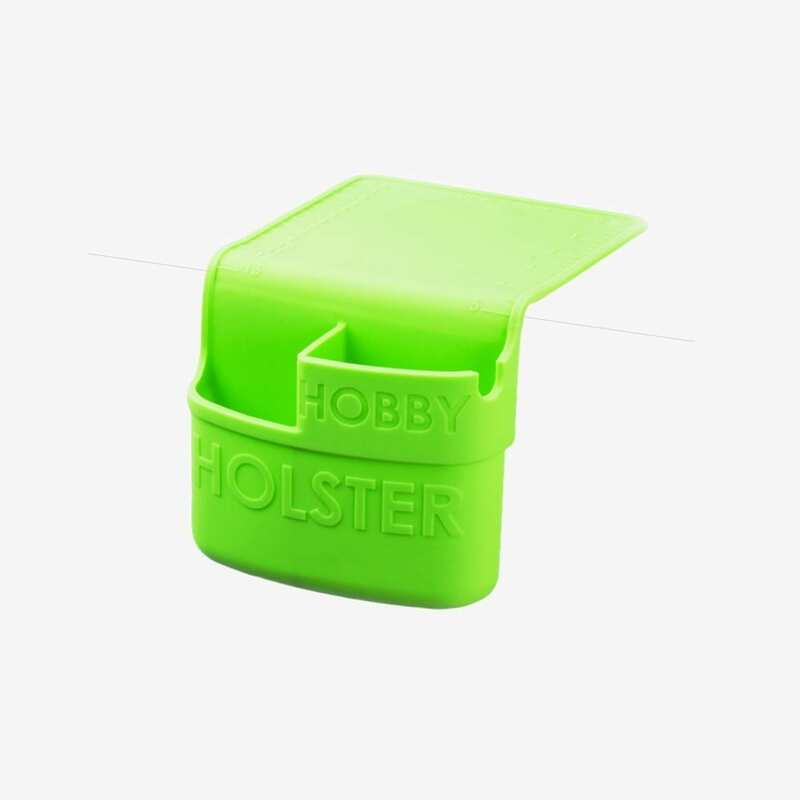 Cleverly utilizing the properties of the silicone construction, the Hobby Holster conveniently attaches to any smooth, non-porous surface whilst remaining easy to place, move, and clean – dried glue peels right off! Heat resistant to over 200°C Holster Brands products are designed to make life around the home easier, tidier and safer. 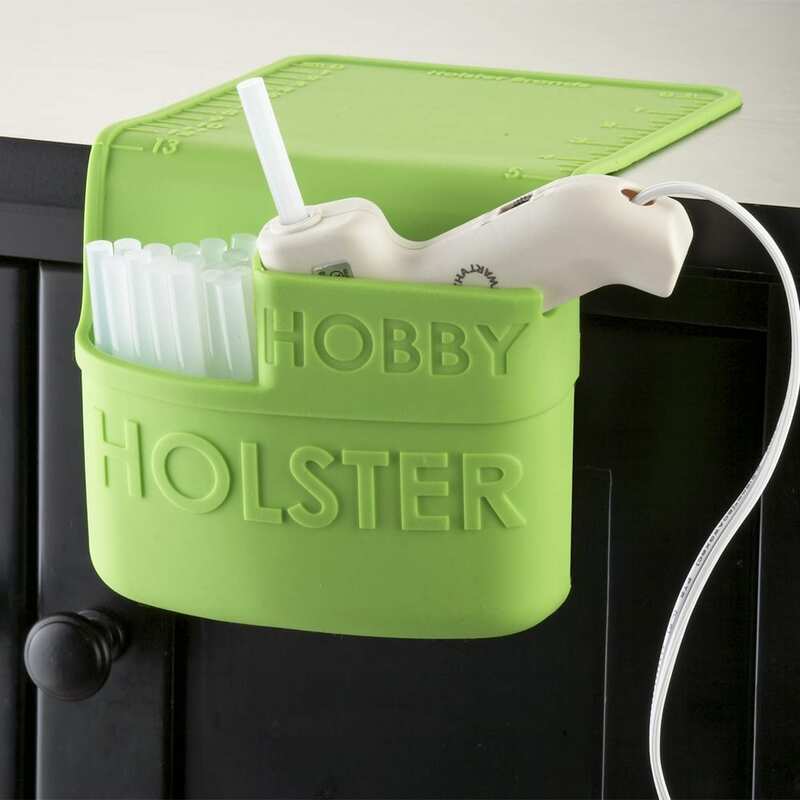 The high-grade silicone construction is also waterproof, allowing Holsters to be used in the bathroom or kitchen. 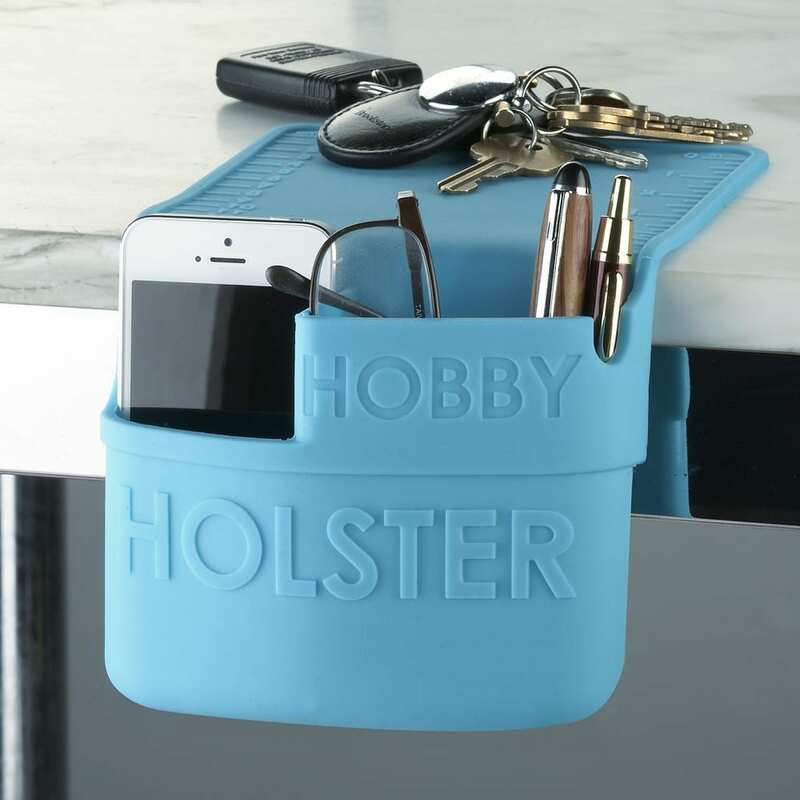 This handy silicone holder is great for hot crafting tools while in use. Cleverly utilizing the properties of the silicone construction, the Hobby Holster conveniently attaches to any smooth, non-porous surface whilst remaining easy to place, move, and clean – dried glue peels right off! 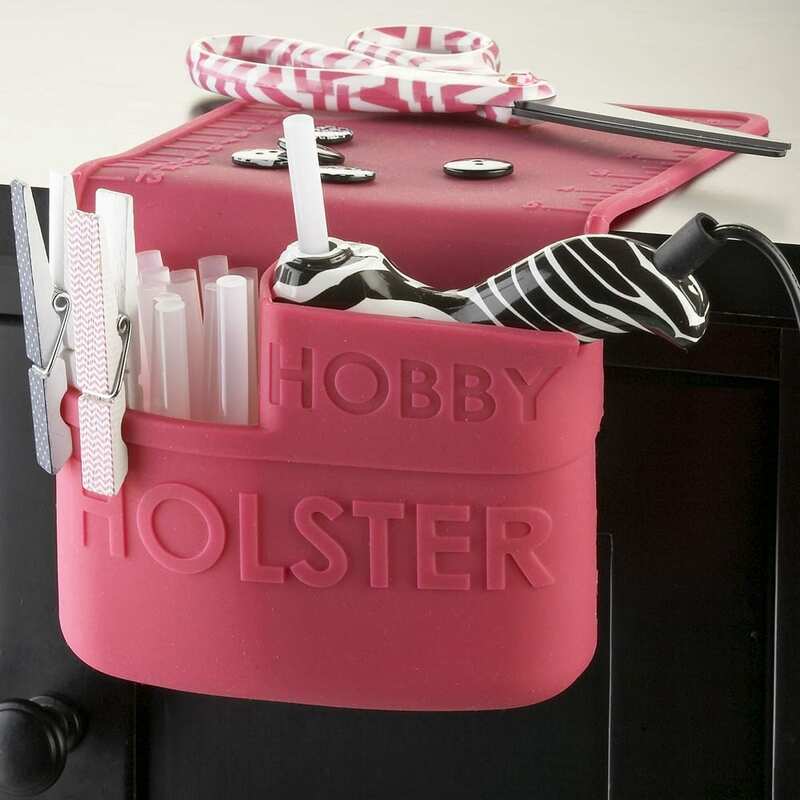 Perfect for glue guns, crafting irons, hobby supplies, and more! 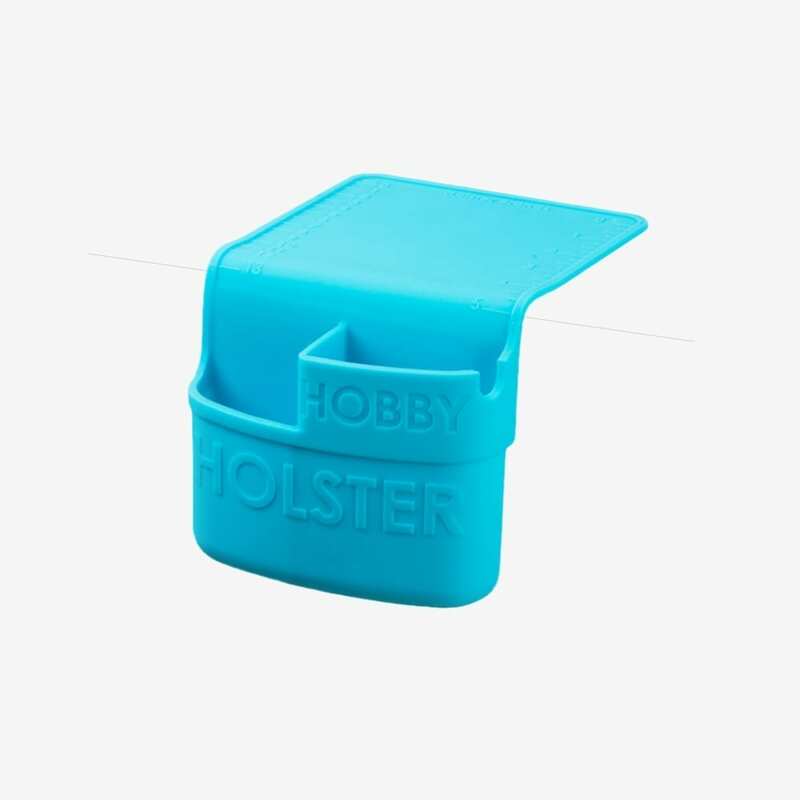 Clean product with a lint-free cloth and rubbing alcohol or rinse with water. Let product dry completely and place on clean, dry surface. Once in position, it’s okay to get the product wet. Some household cleaning solutions may affect the performance of the product. It is recommend to periodically remove your product and clean it. Test surface for adhesion before placing objects in pocket. Sharp objects may cause damage. Do not place photographs on product. Properties of photo paper may cause it to bond with silicone. 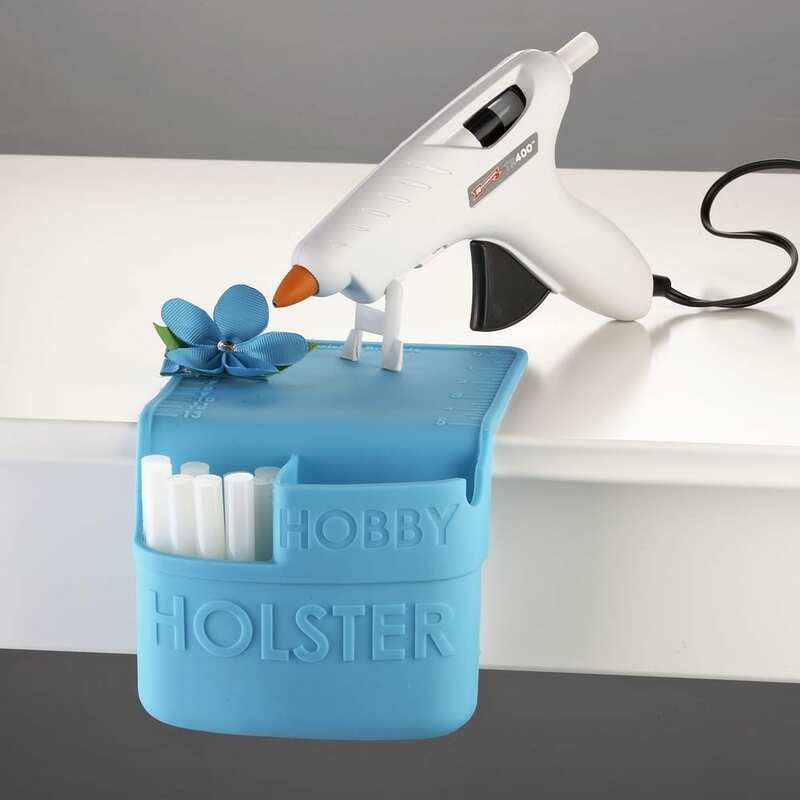 If product gets stuck to any surface, use a hair dryer to heat the surface and remove.